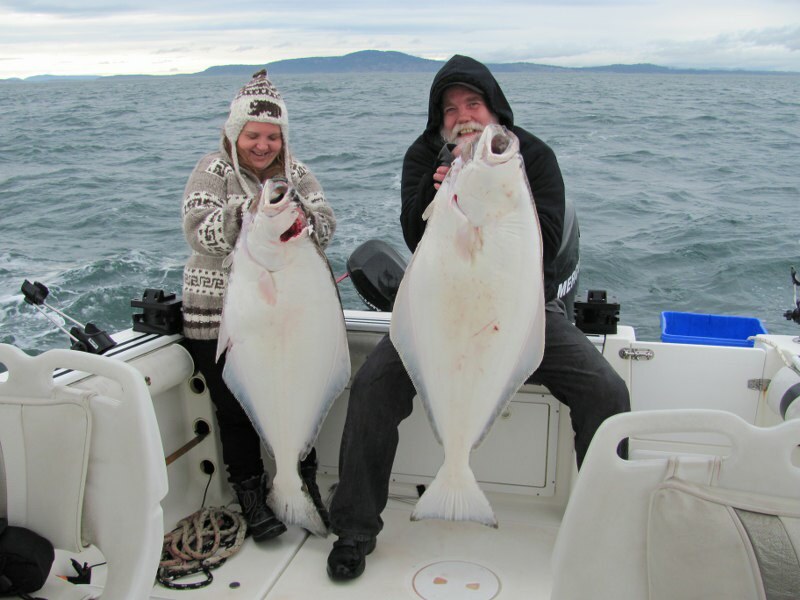 With halibut fishing season open now, most fishing attention around Sooke and Victoria is on the big white flat fish. Gord from Foghorn Charters has been out chasing them when weather permits. He says some nice ones to be caught, but you have to work for them. He's also been catching some nice winter chinook salmon, with keepers in the 8 lb range. Unfortunately the slot limit is now in place, meaning you can only keep wild salmon between 45cm and 67cm ... and they caught a nice 14 pounder they had to thrown back. Ah well, that's one that will grow up and maybe come back next year -- or make it's way up the river to grow a whole bunch more salmon years from now. That's all good! 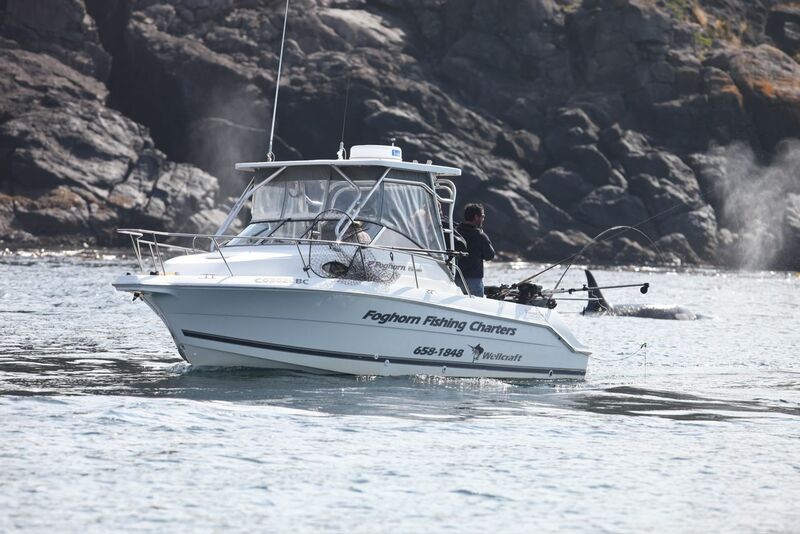 Check out this amazing photo from last year, of Gord fishing with orca whales off Secretary Island in Sooke...incredible!